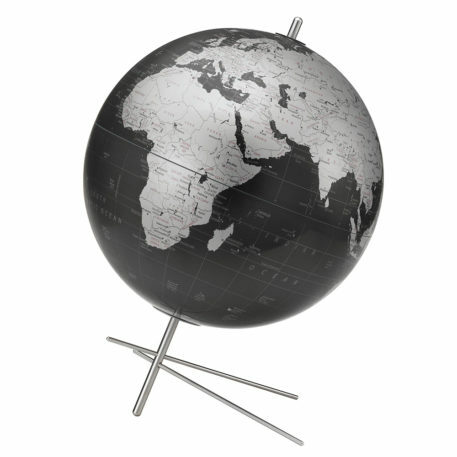 The award winning Scandinavian design of the Mikado grasps the modern world. 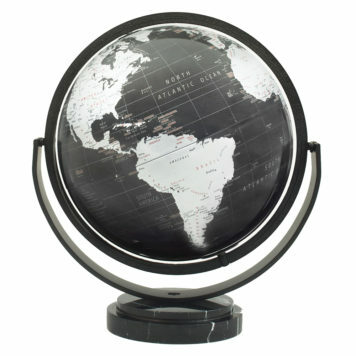 The slate gray ocean of the Mikado stands in stark contrast to the easy-to-read metallic silver map. 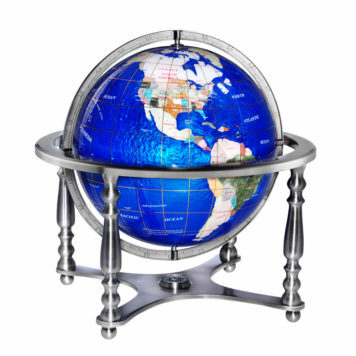 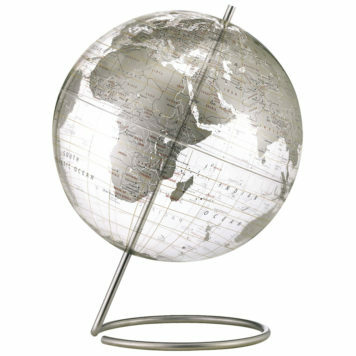 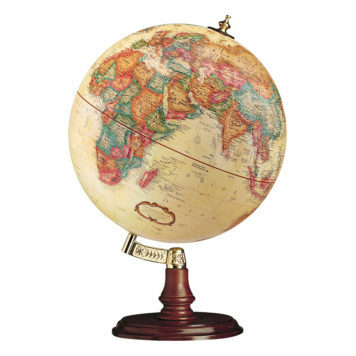 This globe is uniquely supported by angular, brushed stainless steel base.